Mykolaiv [Миколаїв; Mykolajiv]. Map: Boh River and the Inhul River, the capital of Mykolaiv oblast, raion center, sea and river port, and industrial center. Archeologists have found several settlements from the Neolithic Period, the Bronze Age, and the early Slavic period (3rd–5th century AD) in the vicinity of the city. The region was uninhabited until a fort (1784) and a shipbuilding wharf (1788) were built during the Russo-Turkish War of 1787–91. 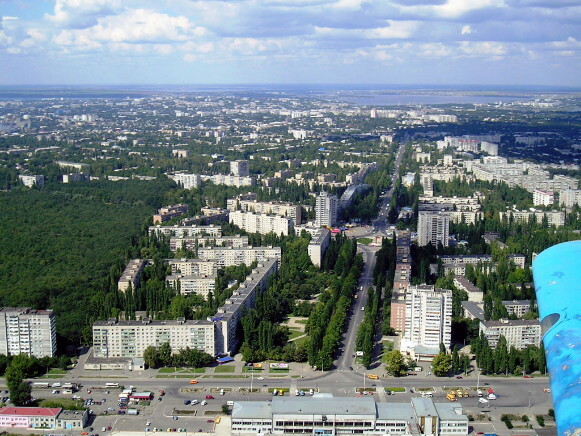 A settlement, which was named Mykolaiv, sprang up around them. 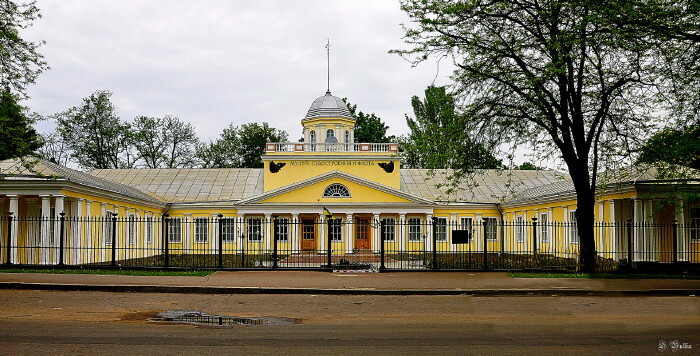 In 1802 it became the capital of a gubernia, and in 1861, a county center of Kherson gubernia. Until 1862 it was an exclusively military port, where sailing ships and steamships (beginning in the 1820s) were built, and where the first iron ship on the Black Sea was constructed, in 1853. During the Crimean War and again in 1870–1900 the command of the Black Sea Fleet was located in Mykolaiv. In the second half of the 19th century Mykolaiv developed into the third-largest port in the Russian Empire and an important industrial center and railway junction. Its population grew from 3,300 in 1792 to 32,500 in 1860, 92,000 in 1897, and 104,000 in 1914. During the Ukrainian struggle for independence (1917–20) Mykolaiv changed hands frequently, and much of its industry was destroyed. The population decreased to 84,000 in 1923 and then rose steadily to 105,000 in 1926 and 169,000 in 1939. 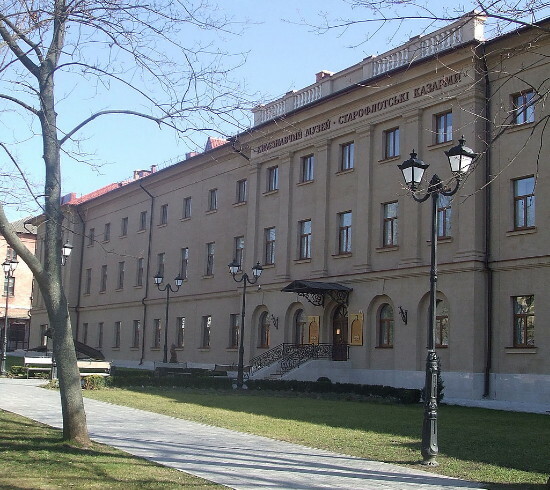 The city was designated an oblast capital in 1937. During the Second World War it was devastated. After the war it was rebuilt, and it expanded as its population grew, to 242,000 in 1961. The population has become ethnically more diverse. In 1926, Russians accounted for 44.5 percent of the population, Ukrainians for 29.9 percent, and Jews for 21 percent, but by 1959 the proportion of Ukrainians had risen to 60 percent. Today Mykolaiv is an important industrial center. Its major industries are machine building, food processing, light industry, and building-materials manufacturing. Of its 250 enterprises, the largest are the Black Sea Shipyard, the Mykolaiv Okean Shipyard, the Mykolaiv Shipyard, the Mykolaiv Reinforced-Concrete Plant, and the Mykolaiv Cotton Manufacturing Complex. 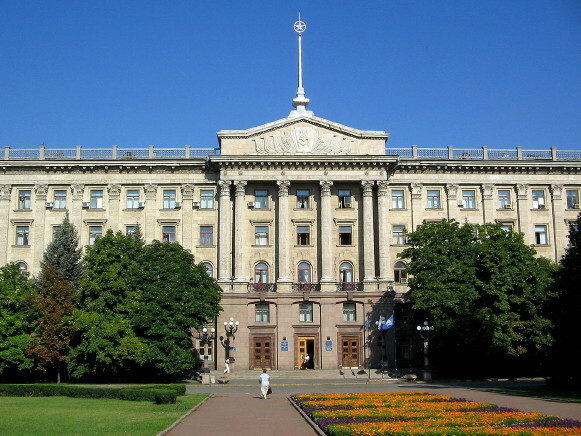 It is the home of a number of research and educational institutions, such as the Mykolaiv National University, the Mykolaiv National University of Shipbuilding, and the Black Sea State University (a branch of the Kyiv Mohyla Academy National University), three theaters (Ukrainian [see Mykolaiv Ukrainian Theater of Drama and Musical Comedy], Russian, and puppet), the Mykolaiv Art Museum, the Mykolaiv Regional Studies Museum, and the Mykolaiv Astronomical Observatory. 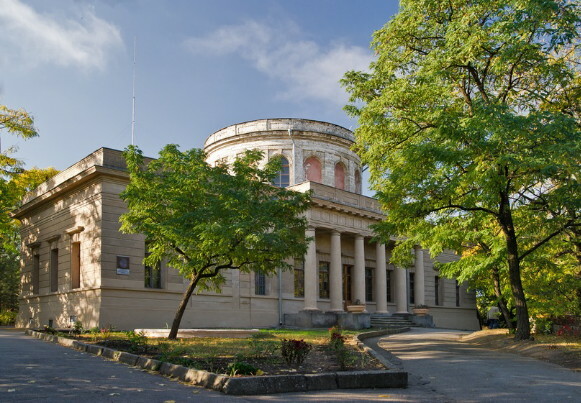 Mykolaiv boasts a number of architectural monuments, including the building of the Black Sea Naval Command (1793), the Black Sea Naval Observatory (1827), Saint Nicholas’s Church (1817), and the Naval Officers’ Building (1824).